This picture reminds me of my oldest sister. Fourteen years my senior, she married and started her family while I was still a little girl. 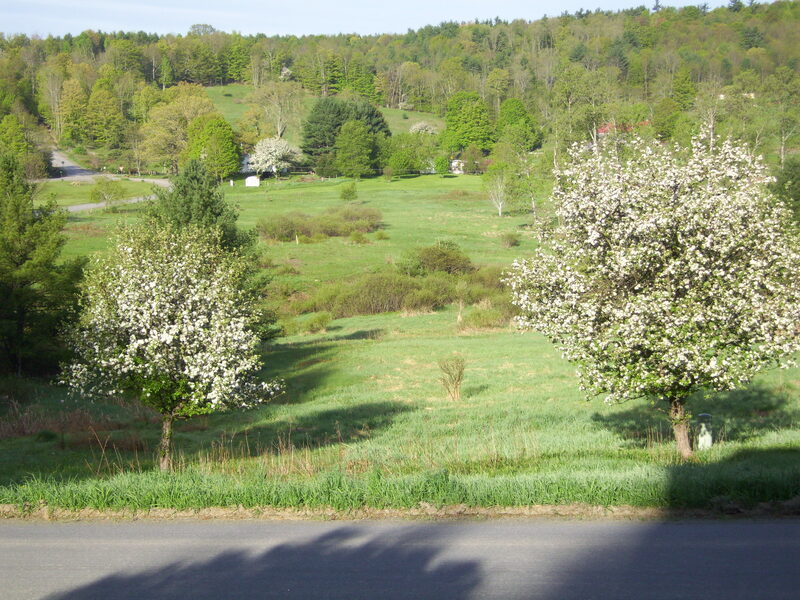 Nancy loved animals and nature, and I suppose it’s fitting that the apple trees were in full and beautiful bloom when she passed away in May, 2013, just before Mothers’ Day. She treated me well, buying little gifts to cheer me when I lay ill in bed, and buying Toni home perms (some of you might remember them) so I could have beautiful curls in my very straight hair. They lasted a couple of days. I had sleepovers in her home sometimes, where I loved reading her books (Heidi and Arabian Nights come to mind), listen to her records (I loved the Strauss waltzes), and I played with my nephew and two nieces. Many memories. She enjoyed her cows, horses, and chickens. She cultivated gardens of flowers and vegetables. She coaxed chick-a-dees to eat bird seed from her hand. I would be negligent not to mention that she played the piano. Today, June 28, is the anniversary of her birthday. She is missing from our family circle when we get together, but I look forward to seeing her in eternity. What a lovely tribute to a life obviously well lived. Precious memories. Thanks for sharing, Beth. See you soon.